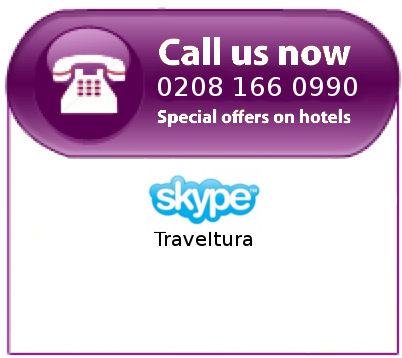 Stonehenge is one of the most popular and prehistoric monuments and World Heritage site in the UK. Set on the Salisbury plains of Wiltshire, the structures are mysterious not only in what they were for, but in how they were built – how did the stones arrive from 200 miles away? Boarding the fully air-conditioned coach in London, you will be taken on a scenic route to Stonehenge over the Salisbury Plains. Upon arrival, you will be given Audio Guides (in up to ten languages) and Site handouts. From here you will be to roam the site at your leisure. After an eventful day we will arrive back in London around 7pm. From London we will drive over the beautiful Salisbury Plains and arrive at Stonehenge. With an Audio Guide and Site Handout, you will be to explore this spiritual World Heritage Site to your heart's content. After a guided tour of Bath you will have time to visit Bath Abbey and Pulteney Bridge, overlooking the river Acon. In the evening, the torches and flares are lit, encircling the magnificent Roman baths (from which the city got its name). As the other visitors leave, our exclusive tour allows us to take a tour. The perfect end to such a magical day! After direct pickup from your hotel, our tour begins with a drive to Bath and a tour of the magnificent Roman bath houses and Pump Room. There will also be an optional walking tour to the house and workplace of Charles Dickens, and an opportunity to sample delicious cheese, fresh from the local dairy farms. Onto Lacock, a small, picturesque village dating back to the Saxon era. A delightful tour of the village will be followed by an early evening supper (not included) in The George, a traditional English pub built in 1361. Finally, we will arrive at Stonehenge, where we will be treated to an exclusive private viewing of the mysterious monoliths at sunset. A truly incredible experience. *On selected days, this tour runs in reverse, whereby we watch the sun rise over Stonehenge, have breakfast in Lacock and end our day in Bath. After the hotel pickup, we will venture outside London to the beautiful town of Windsor. The tour includes access to Windsor Castleg as well as access to the great St George’s Chapel and the grand state apartments. Afterwrads, we will visit Runnymead where King John signed the Magna Carta. We will then step back around 5000 years into the mystery of Stonehenge. You will be audio-guided around this incredible site, given time to explore and marvel at the Salisbury Plains. The final part of our tour will be in Oxford, The City of Dreaming Spires. On a walking tour you will hear all about college life in the world-famous institution of Oxford University. Included in the tour is a stop for English cream tea at a traditional tea shop. A lovely end to a day spent wandering through English history. See Windsor Castle and the lovely St George’s Chapel, as well as the state apartments where every monarch since William the Conqueror has lived! End the day in the beautiful city of Bath. See the fabulous Roman Baths and enjoy the extra hours inside, exclusive to this tour! 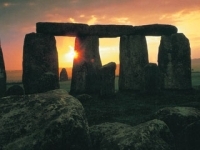 Discover the mystery of Stonehenge, a prehistoric site set on the beautiful Salisbury Plains. You will be audio-guided through the site, then taken to the gorgeous city of Bath. After a tour of the city you will see the magnificent Roman Baths, before a scenic drive through the stunning Cotswolds. Arriving at Stratford, you will wander the charming market town and see not only Shakepeare’s birthplace, but his place of rest in the Holy Trinity Church. We end the day enjoying champagne and strawberry scones in Shakespeare’s garden.